With an average of about 6 million tourists per year, it is no secret that Dubai is the best place to visit as it is fully equipped with world’s best and latest shopping malls, companies, beaches, hotels, etc. This well-formed city is one among world’s top 10 tourist destinations. In short, Dubai is heaven on the earth. The awesome springtime in Dubai, between February and April, might meet all your expectations as a visitor. You will find lush green trees and jewel-like flowers all around the city, blossoming the main parks of the city. 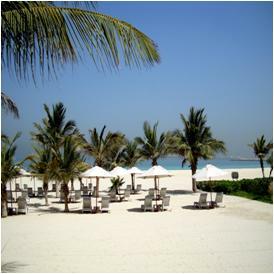 Moreover, spring is perfect beach temperature in Dubai. The temperature level of the city flitters around the high twenties during the day time, dipping to the high teens at night. The spring season in Dubai provides you with a chance to happily spend your entire time in t-shirt and shorts, unless you are dining anywhere high-class or formal. Most hotels in Dubai charge high rates during the peak periods of spring but getting a room should not be a major problem. Most of Dubai’s top events take place during spring as it is the prime season to conduct outdoor activities. As the prime season to be outdoors, most of Dubai's best events take place around this time, including Dubai Duty Free Tennis Championships and the Omega Dubai Desert Classic. Moreover, other famous cultural events and outdoor concerts are also held throughout Dubai. Dubai’s weather gets fairly hot in summer. However, this season is perfect form shopping point of view as all its major buildings are fully air-conditioned in order to easily keep off the heat. By April and May, you will find slight increase in temperature when the mercury level will reach 30 degree Celsius, which is extremely fine for many of the visitors out there. By June, however, the temperature reaches unpleasant levels of humid heat. In addition to that, the temperature becomes simply unbearable during July and August, hitting 40 degree Celsius at the peak. Your outdoor activities will be limited during summer but getting up crack of dawn and outing in the evening is a good idea. 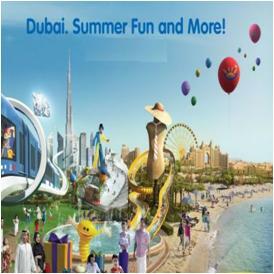 Do not miss the chance to indulge in the Dubai Summer Surprises Festival. Moreover, summer is the best time for the visitors with limited budget as you can get low-season rates. Many of the hotels offer exceptional deals, either via low rates or free meals in restaurants. 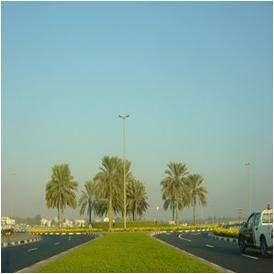 Dubai’s weather during autumn is usually mild and dry. Fall is better as compared to summer but still a bit hot for some visitors. The temperature of this amazing city starts to gradually drop around mid of September, which leads to emerging of Dubai’s folk from the hibernation period. You can conduct late afternoon beach trips as the temperature lessens at this time. You can find Dubai at its prettiest during winter, November to April. This ideal season allows the visitors to enjoy many amazing activities of Dubai, including camping, desert safari, soothing in the perfect beaches and capturing the sight and sounds of this multi-ethnic city in your camera. Winter is the height of tourist season in Dubai, and therefore, an advance booking for hotels and flights is seriously recommended if you are planning a visit to Dubai. Keeping the pleasant weather and the high rate of visitors during this season, the well-known Dubai Shopping Festivals also takes place between January to March. Dubai often receives one to two days rain during winter, which leads to some rather giant puddles. Ramadan, Muslims’ Holy month of fasting, has a direct affect on the daily life and activities in Dubai, so, you really have to keep it in mind while visiting this city. There is no specific month for fasting as the Holy month starts 10 days earlier each year according to the Gregorian calendar due to which it revolves throughout the year. The whole Dubai goes into Hibernation during the 30 days of Ramadan and you can clearly observe a great cut down in the ratio of fun activities. Even if you are not Muslim and not fasting, you cannot eat, drink, or smoke in front of the public during the day hours. Moreover, most of the restaurants and cafes remain closed during the fasting hours. However, the Muslims break their fast with sunset and this city comes to life again. Restaurants and cafes reopen and food along with alcohol are reserved in a normal manner. Many restaurants and hotels of Dubai offer special Ramadan tents serving for their customers. Anyhow, the visitors are strictly expected to behave their self during Ramadan as it is month for revelry. 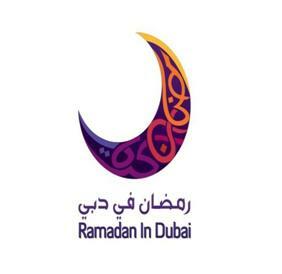 The crux of the restrictions during Ramadan is that, you really could not find it easy to calm down at length which is the main purpose of your visit to Dubai. In short, it is better to avoid Dubai’s tour during Ramadan but you can make your visit a memorable one by indulging into the activities carried out at evenings. Furthermore, it is again a fine visiting time for the ones with limited budget as majority of hotels and flight rates tend to fall during this month. So what will it be? Spring, Summer, Autumn or Winter? Oh, come on…. It’s all your choice. 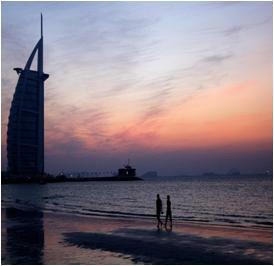 The beautiful and luxurious Dubai is an ideal place to visit anytime of the year.